This blog is based on almost 40 years in the sport. Like you it all started with a single step. We all choose the path we want to take and this column reflects my own personal journey. A lot has happened in four decades. So many changes I could never have anticipated. Running remains the simple process of putting one foot in front of the other, beyond that it is a whole other world. In the 70s and into the 80s running was exclusive to Competition. We busted ours so we could kick yours. That was that. We lined up frequently, hell bent on notching our belts. Think on that for a moment, everyone in the race trying to beat every other runner. We Raced Races. The winners given a simple ribbon, the only thing that mattered. Until the next race, everyone else, Running For Nothing. This entry was posted in Uncategorized on March 14, 2019 by runguru. The longer you set on the fence the tougher the decision becomes. The fact that you even have a choice is a good thing. Most runners have already selected their spring marathon. I’m still hearing from those that have not yet pulled the trigger though. What’s it going to be? We knew going a week before Lincoln would be drawing a very deep line in the scheduling sand. I’ve used the Platte River as demarcation before, I’ll frame the other side with the Elkhorn River. Not Lincoln, not Omaha. Something completely different. Appropriate that Valley 7 Lakes Marathon is in the middle of the two deepest metaphors in Eastern Nebraska. So reminiscent of when I first moved to Nebraska. Seeing what Nebraska’s two major cities offered the running community. And what they didn’t. A little history lesson leading to today. The Valley 7 Lakes Marathon now no less an effort to elevate Nebraska’s esteem regionally and nationally. By offering the state’s only legitimate closed road marathon. There is a reason that top tier American athletes have not peppered the winner board in Lincoln. And why all of Omaha’s marathons are won with pedestrian times. As much as you may tire of me complaining about road races run on sidewalks, the rest of the marathoning U.S. understands the distinction loud and clear. 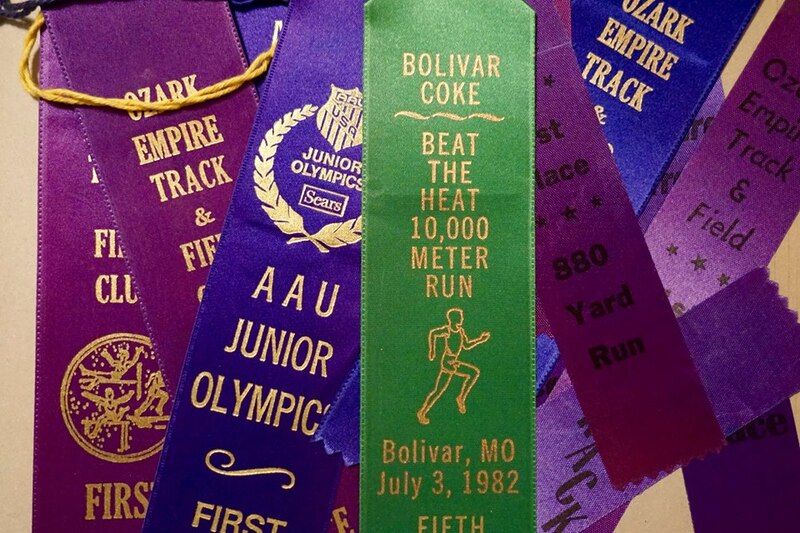 Look, USATF encountered major resistance when founded 18 years ago. Team Nebraska even more of a battle, upsetting the balance of power until ultimately wrested to its demise. Beyond me. Nothing worth doing is easy though. So we’ve started a new marathon. A new tradition. New visions of excellence. Firm grip on the helm this time, lessons learned over the last near 20 years guiding the effort. Offering a product meeting personal standards cultivated over the last 40 years. Not beholding to Lincoln. Not beholding to Omaha. The dream of raising Nebraska’s respectability on the United States Marathoning map. By being the best. So what will you do? Are you ready to get off the pot? This entry was posted in Uncategorized on March 13, 2019 by runguru. Potential Realized. Personal Excellence. Competition. I’ve sung the praises of mi amigo Ino Cantu over the last few years. El Viejo Mas Rapido de todos! The Fastest Old Guy of All. En el mundo. In the World. My old buddy from San Marcos, Texas has done it again! 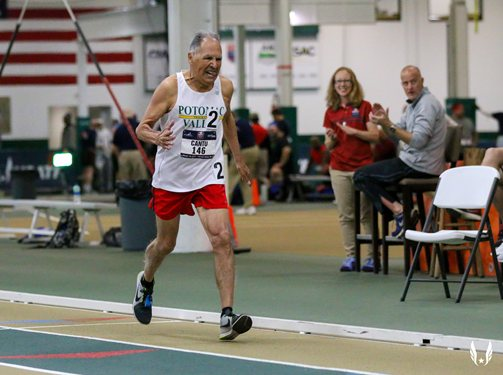 Inocencio Cantu at this past weekend’s USATF Master’s National Indoor Championships. Ino is 85 years old and faster than us. He set an American Record at 800 meters 3:38.62. That’s fast! What really excited me though was his utter demolishing of the World Record in the mile for the 85-89 age group. Ino knocked a mind boggling :45 off the previous mark running an amazing and blazing 7:46.94. Ino old buddy, watching you race, it Never Gets Old. This entry was posted in Uncategorized on March 12, 2019 by runguru. 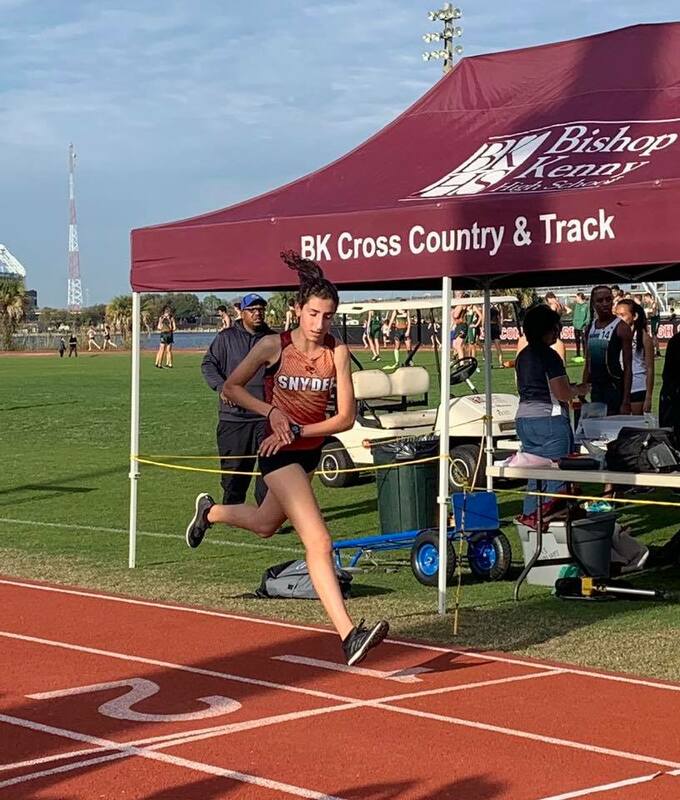 Don’t you hold yourself just a little higher, pull in those abs just a bit, correct that arm carriage and perfect your stride when approaching another runner? The other runner undoubtedly mocking peacock moves. Passing friendly faces, smiles and waves. Once eclipsed, each runner relaxes back into their accustomed stride, just a little easier and more comfortable. Is it still this way? May seem an odd question for a Monday morning but its not really. The answer might very well be the absolute origin of competitiveness. Competition must start with yourself. The Best Competition is against others. And once those days are past, back to competing with yourself. 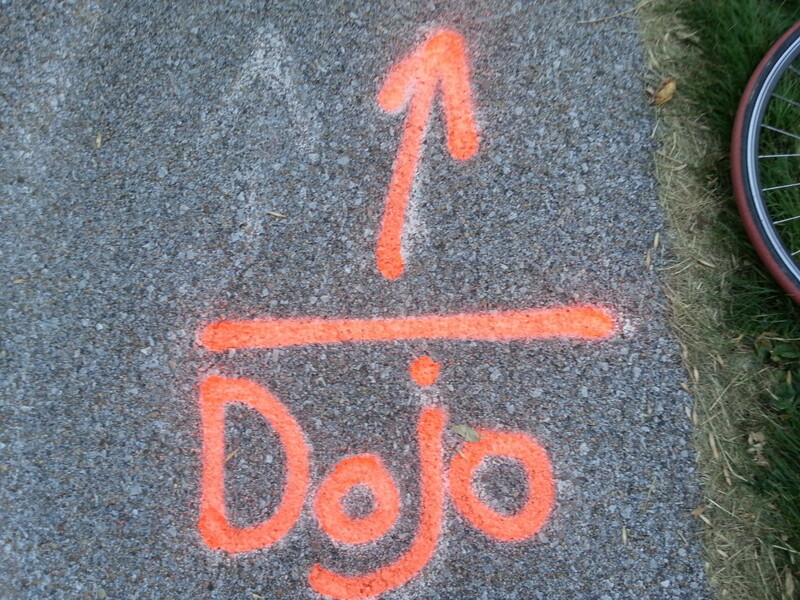 Its just a little test. Take it on your next run. Are you competitive? This entry was posted in Uncategorized on March 11, 2019 by runguru. The biggest of tips to all y’all! Where would any of us be without you? My first Women’s Long Distance Running Executive Committee meeting at Freihofer’s Run For Women 5K. Our USA 1996 National Championships in Albany, NY. Traveling with WLDR Chair Carol McLatchie. The Red Carpet rolled out at the Albany International Airport. I sat at the table. Kept my mouth uncharacteristically closed. Somewhat star struck by those on either side and across from me. Carol McClatchie (32:41, 2:35:09, 2018 National Cross country Coach of the Year- Summit OR). Nina Kuscik, Boston Marathon’s First Woman’s Champ (3:10:26, 1972) and NYC Marathon’s too (3:08:41 in 1972, 2:57:07 in 1973). Joy Smith, Women’s National Champs Chair, multiple US International teams as athlete and coach. Kathy Nary- Chair, International Women’s Competitions, Marja Baker, Boston Marathon Exec. The Executive Committee would change over the years with Elizabeth Phillips (CEMNY, event management NYC) and Virginia Brophy-Achman (Race Director, Twin Cities Marathon) taking their turns at the helm. LeeAnn Meyer, Micky Piscatelli, Colleen DeReuck (multiple time Olympian), Deena Kastor (! ), Camille Herron (Ultra Runner extraordinaire) , and Kim Keenan-Kirkpatrcik (current WLDR Chair) having input guiding America’s best female athletes. And my dear, sweet Linda having a seat at that table from 2008-2018, so happy that she got that experience. I thank all of these Strong Women that influenced me over the last 20 years. I’ve learned from all of you. This entry was posted in Uncategorized on March 8, 2019 by runguru. Agree with the above. I’m old enough to remember when our sport was only that way. When running was a solitary pursuit. When it was understood that we were different. And that we wanted to be different. We strode out in darkness and rain with no desire to be seen. When the only ones running a marathon were those that were damn serious. When “friendship” was not a part of the competitive lexicon. We all have our reasons for running. Mr. Hoodie ran countless laps around Lake Zorinsky, full sweats no matter the season, utterly mute, silky pace shod in black loafers. I used to think he could be a champion, he had his own demons though. I’ll never know what was rolling around inside his bean. It would be interesting to know the truth. What’s in your head? 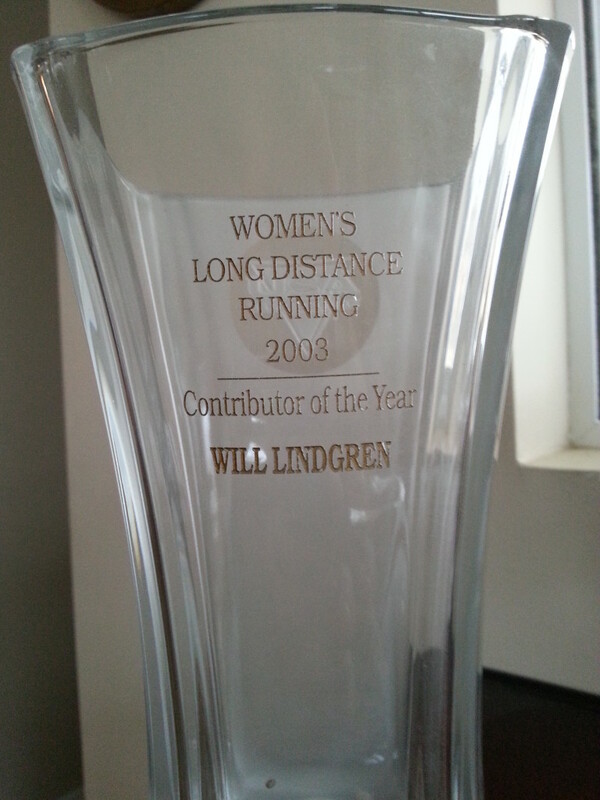 This entry was posted in Uncategorized on March 7, 2019 by runguru. Sitting cross legged on the floor. Eyes closed, mantra shrinking into the nothingness that is the present moment. One with The One. “The Mind Is The Athlete.” Andy Palmer. A big part of my coaching philosophy has nothing to do with Zoom Flys, kits, or certifications. It has everything to do with philosophy. Tuning in between your ears. Finding that quiet place where all becomes nothing. And out of that nothingness, creating something. My most serious athletes practice meditation on a regular if not daily basis. Understanding the importance of visualization as part of a wholistic approach. Training minds to see, training minds to be. This entry was posted in Uncategorized on March 6, 2019 by runguru. There’s still over a foot of snow on the ground. More coming, so be it. Creating havoc for most of the early 2019 race calendar. The Leprechaun Chase rightly canceled this past weekend, the course disappearing under great white blankets. Handled professionally all around. A dozen and more St. Patrick’s Day runs are on the upcoming calendar. I’m keeping my fingers crossed (good luck?) that the weather gods smile down. Early March a very good time- if you haven’t already- to kick start your 2019 racing campaign. Time to blow out those last remaining cobwebs. That’s what El Sol is telling me anyway. Still not easy to find an open road in the city. We’re spoiled with wide open country roads here in the Twin Rivers Homestead. Peak Performance is brining back the Blarney Stone 5K on March 17th. I’m glad to hear that. On its original course too, where everyone’s favorite little Leprechaun Chas Davis long ago held sway, replete with pipe and hat. The Alex Lamme St. Patrick’s Day Dash (16th) in Fremont could be a fast one. Hope to see you on the roads somewhere. Wherever you lace them up, Good Luck! This entry was posted in Uncategorized on March 4, 2019 by runguru. It takes a career. Please indulge me for just a moment. I got my start as an Elite Athlete Coordinator with the Baytown Heatwave 5 Mile back in the 80s. In 1995 hand written invitations to over 100 of America’s top runners, hoping they would join me at the Brazosport Run For The Arts 10 Mile. Leading to 20 years with USATF advocating for America’s best. Three sub 4 minute performances at the Omaha Mile in ’07 & ’08. USATF Club National Champs at Burke in 2012. Zach Hine’s OTQ 1:04:48 at the 2014 Twin Rivers YMCA Half Marathon. In the meantime doing a little EAC work for the Lincoln Marathon bringing no fewer than 6 overall winners. The passion has become more energized than ever now that I’m working for our own race. There is no question that all serious runners aspire to pinnacles, my joy is bringing that opportunity. Nothing beats the accomplishment on athlete’s faces when they achieve their goals. The bigger their goals, the more celebration. Valley 7 Lakes Marathon and Half. Another refinement. Honing my craft. This entry was posted in Uncategorized on February 27, 2019 by runguru. Nebraska High School Track season kicked off yesterday! On a positive note Norwegian Ingrid Kristiansen did a majority of her training on cross country skis. If you were a runner in the 1980s you’ll remember she held the WR at 5000, 10,000, Half Marathon and Marathon. All at the same time! Our late February freeze will impact Spring performances across the state. I’m suggesting here and now that Coach McMahon and his Fremont boys will be ahead of the curve. He had his mates out at our 2019 Winter Fitness Series for a reason. Giddyup Tigers! I’m also picking Coach Stenger’s Papillion La Vista South Titans as ones to watch, they racing at our series and Craig Christian’s No Frills runs. The hard decision has been made to hold out one of the most talented runners in Nebraska. After much discussion with mom and dad Sam Runde will opt for golf this spring. His long term healing and development taking priority over all else. To remind Sam finished 10th overall at the 2017 USATF Junior Olympics 3000 (9:31) as a 15 year old. His time at Burke spent mostly in a boot. He will be recovered and make some Big Noise next fall. A final bit of advice to all high school thinclads. Fully Automated Timing systems able to parse results down to the millisecond. Run through the finish line. Learn your craft and leave your watch at home. This gal! She got away with one this time, maybe not so lucky next. As a coach I would insist she leave her watch in the stands with mom and dad. This entry was posted in Uncategorized on February 26, 2019 by runguru.